When Eileen meets Ed Leary, a scientist whose bearing is nothing like those of the men she grew up with, she thinks she's found the perfect partner to deliver her to the cosmopolitan world she longs to inhabit. They marry, and Eileen quickly discovers Ed doesn't aspire to the same, ever bigger, stakes in the American Dream. She began to look forward to the day when she would take another man's name. It was the thoroughgoing Irishness of Tumulty that bothered her, the redolence of peat bogs and sloppy rebel songs and an uproar in the blood, of a defeat that ran so deep it reemerged as a treacherous conviviality. She'd grown up around so many Irish people that she'd never had to think much about the fact that she was Irish. On St. Patrick's Day, when the city buzzed like a family reunion, she felt a tribal pride, and whenever she heard the plaintive whine of bagpipes, she was summoned to an ancient loyalty. Through the lens of one all-American family, Thomas has crafted a profound meditation on the meaning of success, the joys and challenges of marriage, and the lure (and traps) of the American dream. Eileen Leary, with all her strengths and weaknesses, leaps off the page. (Reviewed by Poornima Apte). Despite its epic size and aspirations, the novel is underpopulated and often underwritten, a quality that does make its richer moments stand out while stoking the appetite for more of those in fewer pages. Starred Review. The debut author has created a memorable character in Eileen, who is both intelligent and clueless, focusing on her ideals and fantasies and attempting vainly to make reality conform to her aspirations. The depiction of Ed's illness is realistic, powerful, artistically delivered, and occasionally humorous, and readers will be drawn in." Starred Review. Thomas's emotional truthfulness combines with the novel's texture and scope to create an unforgettable narrative. We Are Not Ourselves is a powerfully moving book, and the figure of Eileen Leary - mother, wife, daughter, lover, nurse, caretaker, whiskey drinker, upwardly mobile dreamer, retrenched protector of values - is a real addition to our literature. It's all here: how we live, how we love, how we die, how we carry on. And Thomas does it with the epic sweep and small pleasures of the very best fiction. It's humbling and heartening to read a book this good. Okay, straight out, this novel is the truth, the whole truth, and nothing but. In We Are Not Ourselves, Eileen Leary moves to a three-family home in Jackson Heights in Queens, New York, which, even as she watches, becomes increasingly diverse. "Supposedly it was the most ethnically diverse square mile in the world. Someone more poetically inclined might find inspiration in the polyphony of voices, but she just wanted to be surrounded by people who looked like her family," Matthew Thomas writes about Eileen's subtle racism. 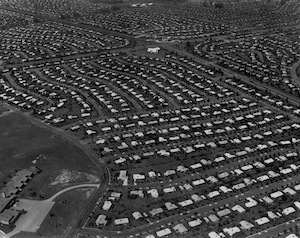 Attitudes such as this, many argue, were part of a complex mix of factors that drove white people to the suburbs in the mid-twentieth century. 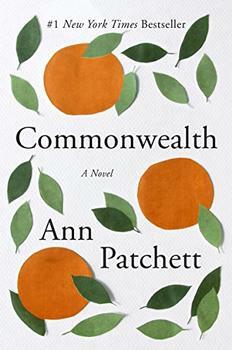 The acclaimed, bestselling author - winner of the PEN/Faulkner Award and the Orange Prize - tells the enthralling story of how an unexpected romantic encounter irrevocably changes two families' lives.